QuickTime has set a new standard for steel bellhousings. Circle track, strip, street applications. Do not be fooled by others claiming parallelism and concentricity. 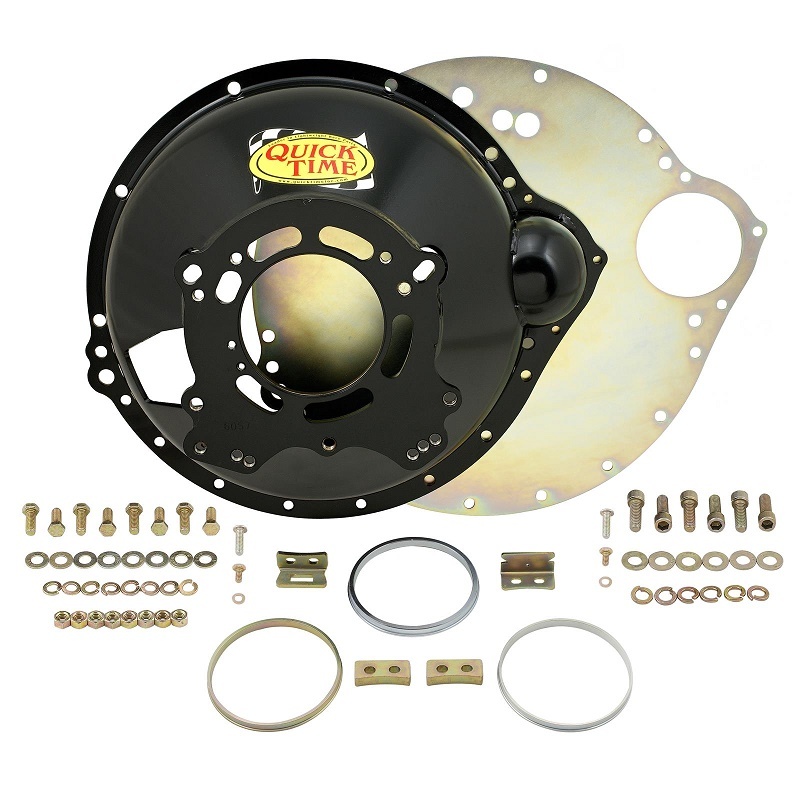 The QuickTime Bellhousing is the most accurate bellhousing available due to unique manufacturing processes. The QuickTime cone is spun not rolled or stamped. 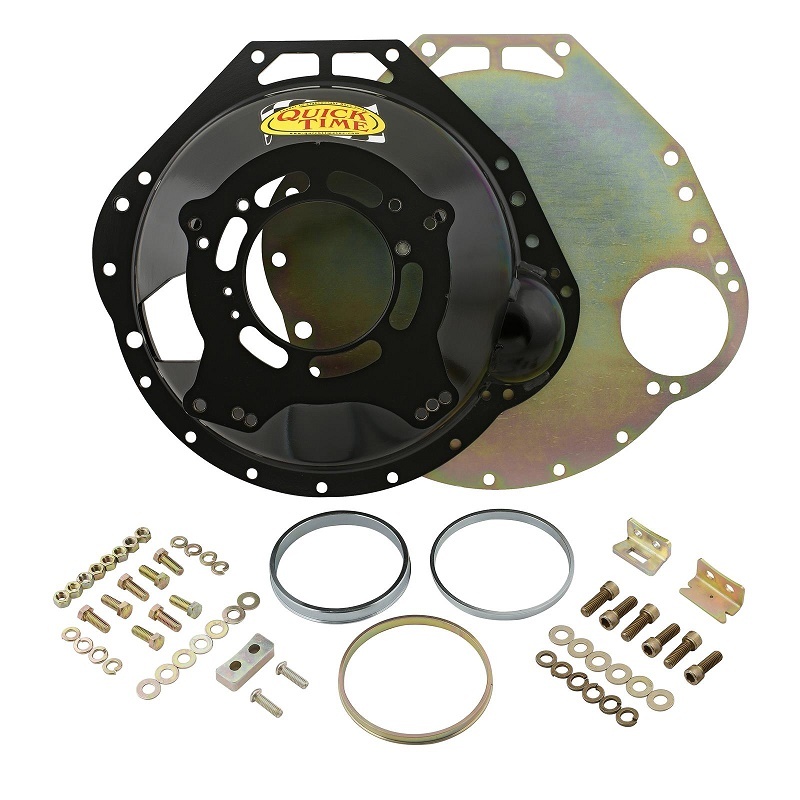 This allows the QuickTime Bellhousing to be the most dimensionally stable bellhousing available. Built from high grade steel — Work hardens to over 80,000 PSI strength. Over 2 times the strength of any other steel bellhousing. This is the bellhousing you want between you and your drivetrain. Design input from OEM, Engine Builders, Transmission Builders, Racers, and the hobbiest. Universal fork brackets for diaphragm or cable operated linkage Pivot ball, fork bracket, full engine plate, and grade 8 bolts included. Bellhousing clutch fork pivot for 1968 and newer forks. Select for Stock or Lakewood bellhousing for correct mounting bolts. Bellhousing clutch fork pivot for 1967 and older forks. Select for Stock or Lakewood bellhousing for correct mounting bolts. 1968 and newer 289-302-351 clutch fork. 1968-69 Mustang 390 clutch fork.